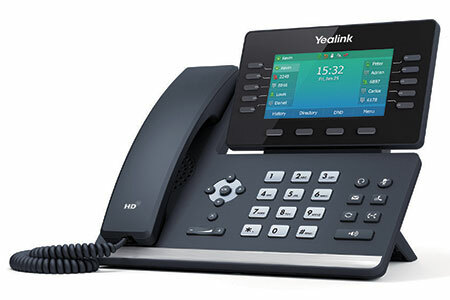 Yealink T5 Series IP Phones consists of a new line of VoIP phones to improve communications in the office. There are seven new IP phones in the series. In this blog, we’re covering the three new phones ending in -W.
Yealink T53W is an entry-level phone with a large backlit monochrome display that shows larger letters than other phones in its class. T53W has 8 keys and supports 12 SIP lines. 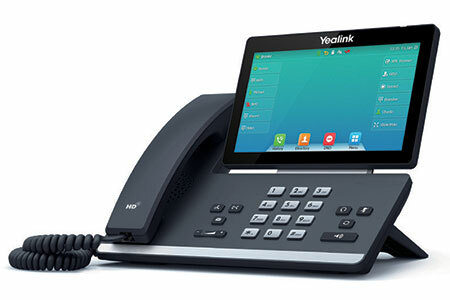 Yealink T54W is a mid-range phone with a large HD color display. T54W has 10 keys and supports 16 SIP lines. 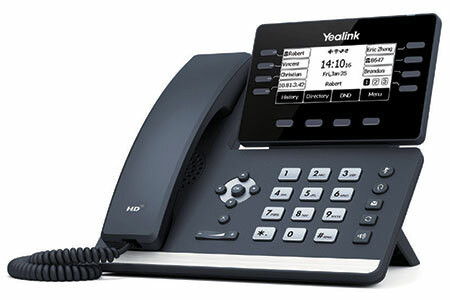 Yealink T57W is an executive class phone. It has a 7” capacitive touchscreen display and supports 16 SIP lines. All three come with built-in Wi-Fi radios. Wireless connectivity lets you place the phone where you want to without worrying about cabling. But Wi-Fi is only one of the improvements. Let’s take a look at the incredible features shared by the new Yealink phones. Yealink T5 phones come with built-in 802.11ac Wi-Fi (Wi-Fi 5). That means it supports both 2.4 GHz and 5 GHz wireless connectivity. Native Wi-Fi lets you place the phone anywhere in the office that your wireless network reaches without the need to run Ethernet cables to it. It declutters your office. 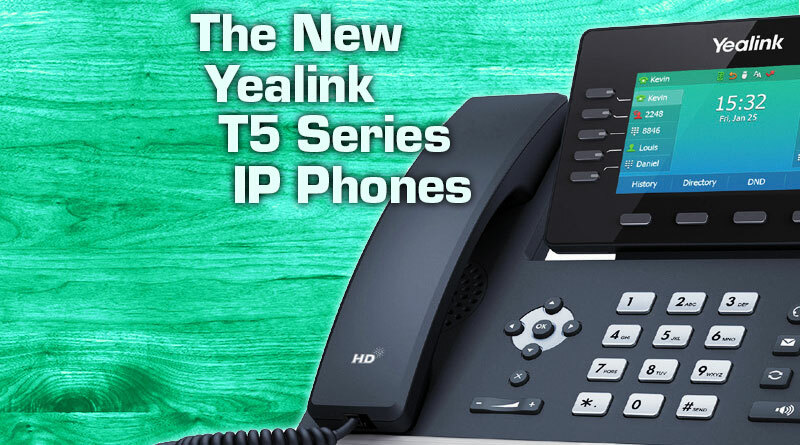 If you don’t need Wi-Fi or Bluetooth, check out the new Yealink T5 IP Phone. It gives you all the features of the Yealink T53W IP Phone without Wi-Fi or Bluetooth. 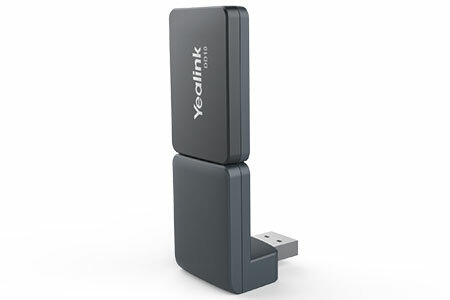 Yealink Acoustic Shield is a technology that provides incredible noise reduction. Here’s how it works. The phone uses multiple microphones to sense noise. It creates a virtual shield around the speaker. Then it intelligently blocks noise beyond that shield. The result is greatly reduced distractions. Acoustic Shield is especially valuable in open offices and call centers with all the chaotic noise produced by having a lot of people talking in the same space. Yealink Optima HD is a set of technologies that together give you rich HD audio from both the handset and the full-duplex speakerphone. Having lifelike audio improves comprehension and increases trust in the people you’re speaking with. The handset is hearing aid compatible. The new Yealink phones support DECT handsets when you use the Yealink DD10K DECT Dongle (not included). This gives you a further method to increase mobility and flexibility in the office. DD10K enables your phone to connect to up to four Yealink wireless handsets like the W52H or W56H. Because the T5 phones have the power to run up to four simultaneous calls, you can use up to four handsets at once. 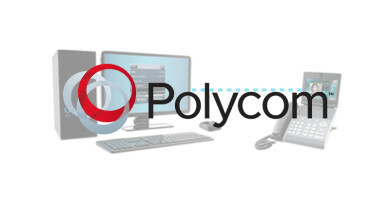 Your deskphone acts as the primary phone. The handsets act as dependent phones, so they aren’t independent IP phones, but you still get the convenience of a cordless phone. You can share content with a far-end computer through your phone. Let’s say you have a chart on your computer that you want to send to a colleague you’re talking with. With the new Yealink phones, you can send that chart from your phone to your colleague’s computer. This feature is set to arrive in March 2019. 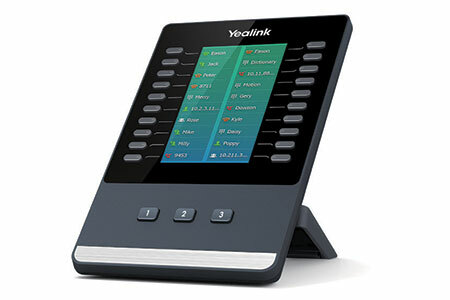 The new Yealink T5 Series IP Phones all have adjustable screens. You can tilt the screen forward or backward. It seems like a small thing, but workplace ergonomics are important. With the new Yealink phones, you don’t have to swivel your head to avoid the reflections of the overhead lights. No more having to crane your neck or lean forward to see who’s calling. No matter how tall or short you are, no matter what the lighting, your phone’s screen works for you. If you want to use a wireless headset with your phone, you can, because all the new phones support Bluetooth! T57W has a USB port. A minor point, no? Not really. It’s surprising what functionality that USB port opens up. It supports USB headsets, giving you a plug-and-play option for using a wired or wireless USB headset. 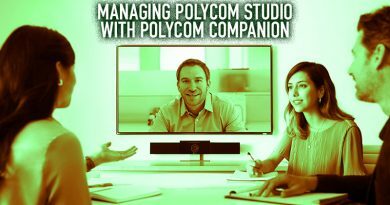 You can also use the USB port to record calls without the need for additional licensing. And it also enables the corded-cordless functionality, as detailed above. 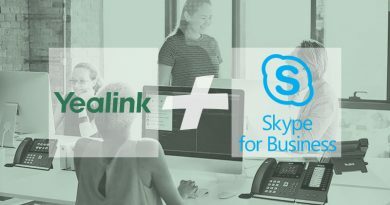 Yealink follows an open standards philosophy, which means its phones are broadly interoperable with a wide range of VoIP phone systems. 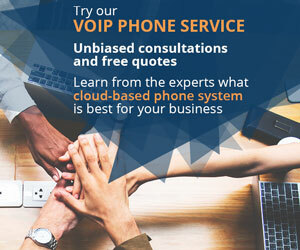 The new T5 phones all run SIP, the most popular open source VoIP standard. On your end, that means you almost definitely won’t have to worry about your phone being compatible with your phone system, a big relief! All the new Yealink T5 Series IP Phones come with dual Gigabit Ethernet ports to give you futureproof speed. 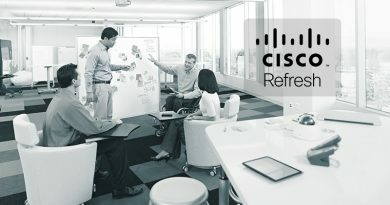 When you connect a computer through the phone to the network, you won’t have to worry about bandwidth. The new phones also support Power over Ethernet (PoE), so you can power the phone using the same Ethernet cable that connects it to the network when using a PoE switch or PoE injector. If you require more keys for speed dial, extensions, and so on, all the new T5 phones are compatible with Yealink EXP50 Expansion Module. This module has a large 4.3-inch color display with three screens of 20 buttons each, giving you 60 new keys per module. In other words, by using three EXP50 modules, you could add an incredible 180 new keys! For a full range of Yealink IP Phones, visit IP Phone Warehouse today!